Elon Musk is promising to make an electric pickup -- repeating a pledge he first made in 2013. In a twitter conversation with Tesla fans, one asked Musk for an electric pickup. "I promise that we will make a pickup truck right after Model Y. Have had the core design/engineering elements in my mind for almost 5 years. Am dying to build it," he responded. The Model Y is the working name for a lower cost crossover, comparable in price to Tesla's Model 3, or about $35,000. The current Model X crossover typically runs more than $100,000. Musk has been somewhat vague about the timing of the Model Y. He told investors in May that "we need to come out with the Model Y sometime in 2020 or aspirationally late 2019." Musk has been talking and tweeting about an electric pickup since at least 2013. He said then he wanted to build a truck to compete with the Ford F150, the best selling vehicle of any kind in the U.S. market every year for the last several decades. "If you're trying to replace the most gasoline miles driven, you have to look at what people are buying," he said in November 2013. "That's the best selling car in America. If people are voting that's their car, then that's the car we have to deliver." He cautioned then it would probably be about five years before Tesla would offer a pickup. It's not clear how great demand is for an electric plugin pickup. Buyers have remained extremely loyal to Ford (F), General Motors (GM) and Fiat Chrysler's (FCAU) Ram brand. According to figures from Autodata, Japanese automakers Toyota (TM), Honda (HMC) and Nissan (NSANF) between them have been able to take only about 14% of the U.S. pickup market, by far their smallest market share of any segment. Other foreign automakers don't even offer a pickup in the United States. 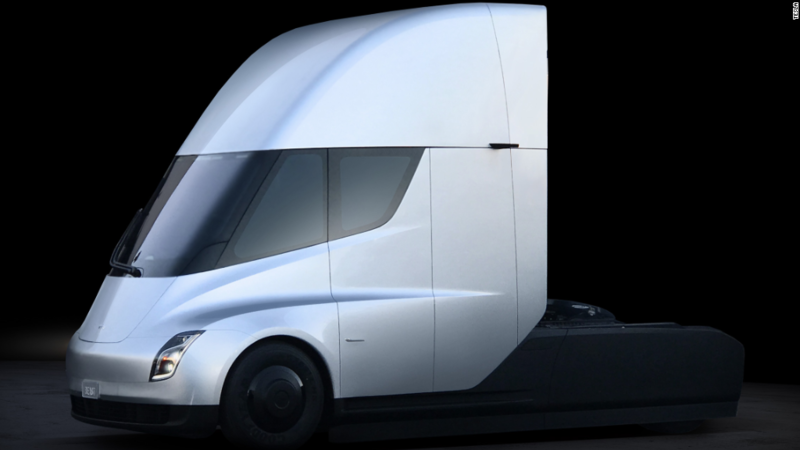 In November, Tesla unveiled plans for a semi-truck, which it said it will start producing in 2019. The ever-ambitious Musk has been overly optimistic time and time again about when he would be able to deliver on his promises. He said earlier this year he expected to make 1,500 of the Model 3 in the third quarter. Instead the company made only 260. He also predicted 5,000 by the end of the year. But Tesla has bucked some of the naysayers who never thought it would get this far in its quest to bring electric cars to the masses. And Musk took time to thank his fans with his Tuesday tweets. "Wanted again to send a note of deep gratitude to Tesla owners [worldwide] for taking a chance on a new company that all experts said would fail," he tweeted. "So much blood, sweat & tears from the Tesla team went into creating cars that you'd truly love. I hope you do."